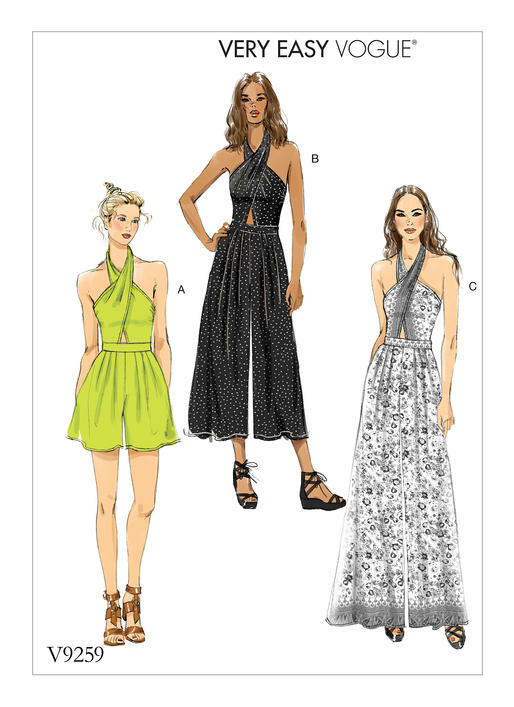 The Vogue V9259 Romper and Jumpsuit sewing pattern is perfect for an advanced beginner dressmaker. 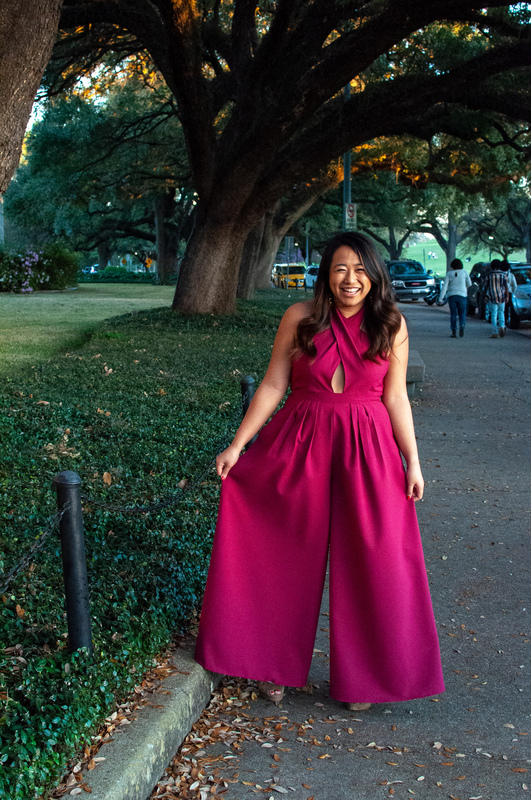 The romper and jumpsuit are close-fitting through the bodice, both have halter necks that tie at the back of neck and length options. FABRICS: A, B: Challis, Crepe-Back Satin, Light Weight Broadcloth. C: Double Border Prints. 4 out of 5	easy to make, stunning outcome! Changes: I may have the cut the bodice or gathered the fabric incorrectly, resulting in a very loose fitting bodice that gaped at my underarms. To fix this, I free handed darts that helped mold to the curve of my bust. Other bloggers/instagram folks didn’t mention having to make this change so it might have been just my mistake! I think if you went for a stretchier fabric it would conform to the body a little better. Otherwise, I made no changes to the waistband or the pants! Final Thoughts: For the amount of effort put into making this dress, the results are stunning! I love the dramatic look of the bodice, along with the surprise of the wide legged jumpsuit. The pockets are the perfect touch and give you a place to put your hands when you’re trying to pose for photos! The entire jumpsuit is definitely more comfortable than I thought it would be, given how glamorous it looks in person. 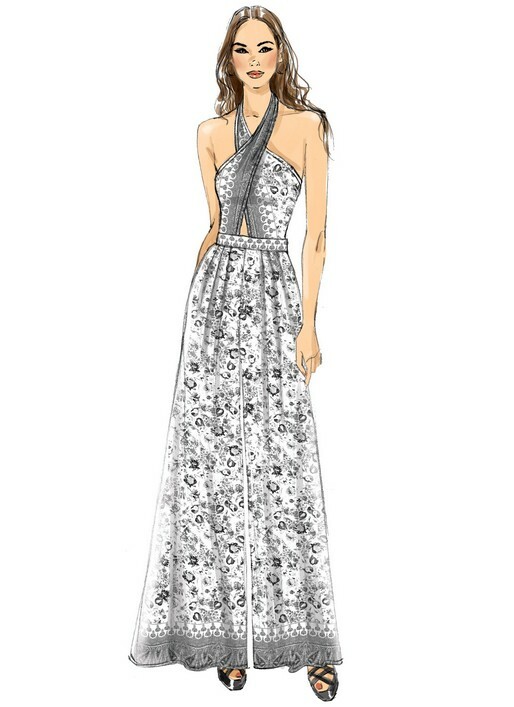 I think I would choose a different fabric the next time I make it – one with a little more drape or maybe even a jersey. 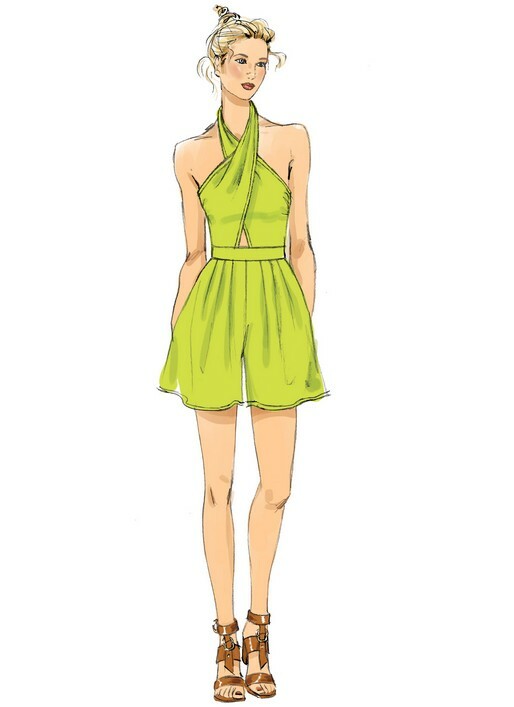 I also eventually hope to make the romper version as well!